Could policies aimed at preventing radicalisation in Europe end up undermining the very social cohesion they aim to preserve? Since the mid-2000s, a growing number of European governments have broadened the scope of counter-terrorism, making it an issue that needs to be tackled ... read full description below. Could policies aimed at preventing radicalisation in Europe end up undermining the very social cohesion they aim to preserve? Since the mid-2000s, a growing number of European governments have broadened the scope of counter-terrorism, making it an issue that needs to be tackled by society as a whole. This report considers the effects of such policies in the education sector through a review of the existing literature on the subject. 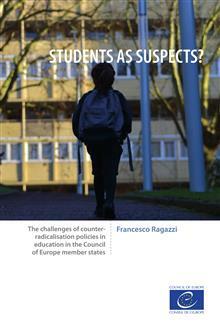 It begins by considering the issues facing educators and students and their families, and goes on to show how counter-radicalisation policies make contradictory demands on educators, asking them to build social cohesion and resilience while at the same time requiring them to employ a logic of suspicion in spotting potential radicals. The report suggests that this contradictory mission challenges key principles of 1. human rights and fundamental freedoms; 2. education for democratic citizenship, human rights education, competences for democratic culture and the objectives of building inclusive societies; and 3. the key objectives of counter-terrorism itself. The author therefore presents three main areas of reflexion, followed by recommendations for further research and action by the Council of Europe.